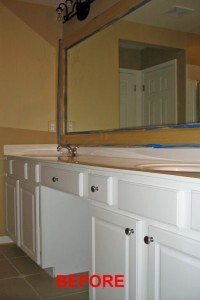 A master bathroom is usually considered as an extension of the master bedroom. 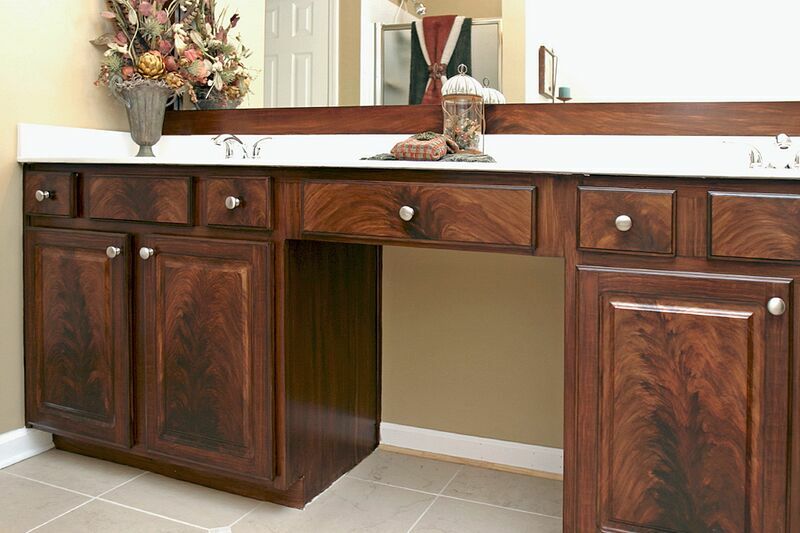 But what happens when your bedroom furnishings are rich mahogany but the bathroom is white? Very simple . 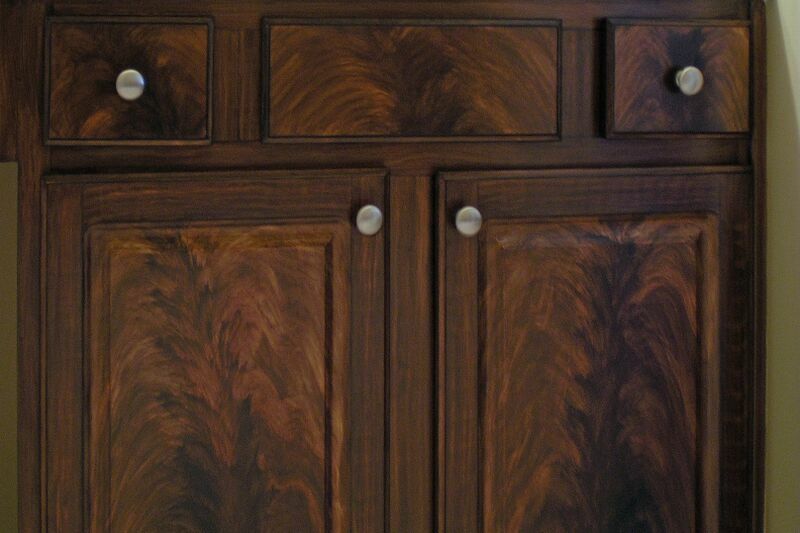 . . paint the cabinets with a faux wood grain technique to match! 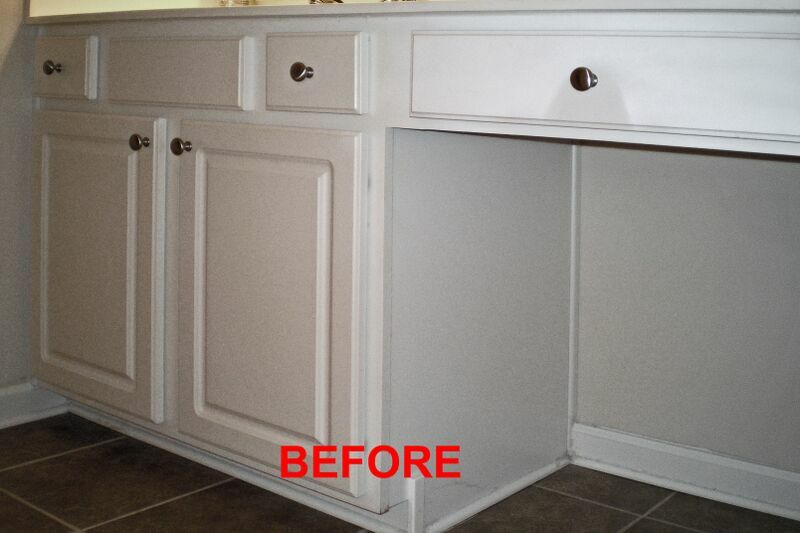 This white cabinetry was painted to appear as a dramatic crotch mahogany. 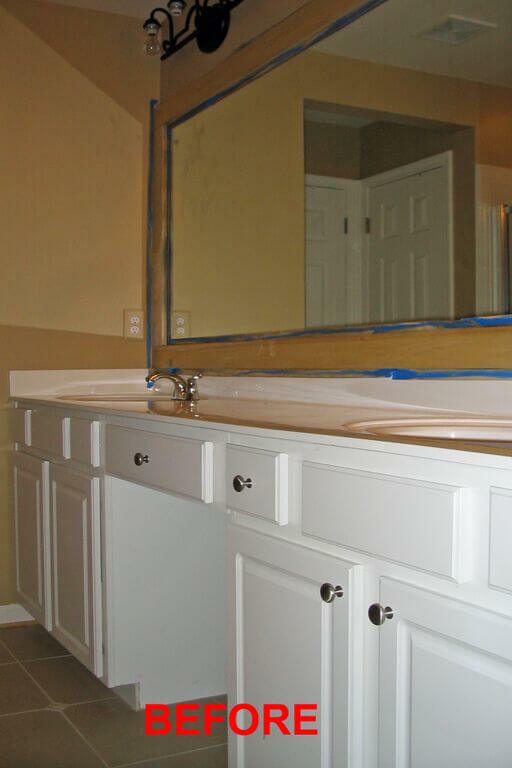 One of the advantages of utilizing this advanced decorative artistry technique is that we were able to create a perfect color match to the furnishings in the master. 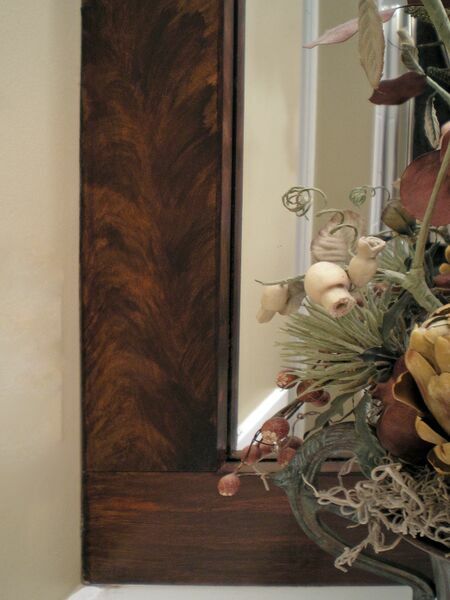 Pieces of wood were applied to create a simple frame to surround the mirror. 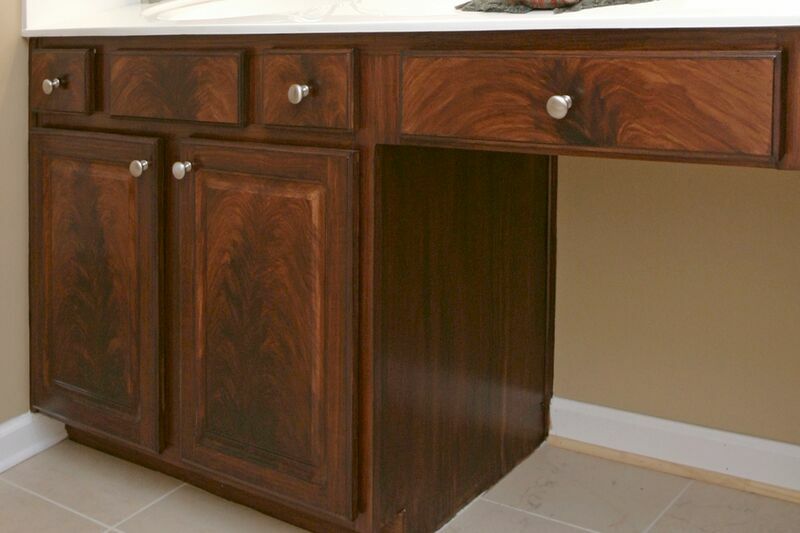 Carrying the same exotic wood graining technique (faux bois) upward offered more visual weight to the cabinetry. This bathroom is now an inviting extension of the elegant master bedroom. 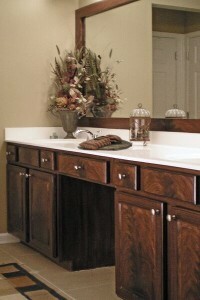 The mahogany cabinetry has become the focal point of this space. Visit our faux finish portfolio to see more faux wood graining techniques and cabinet refinishing projects.